This entry was posted on April 24, 2012 by Russell Smith. 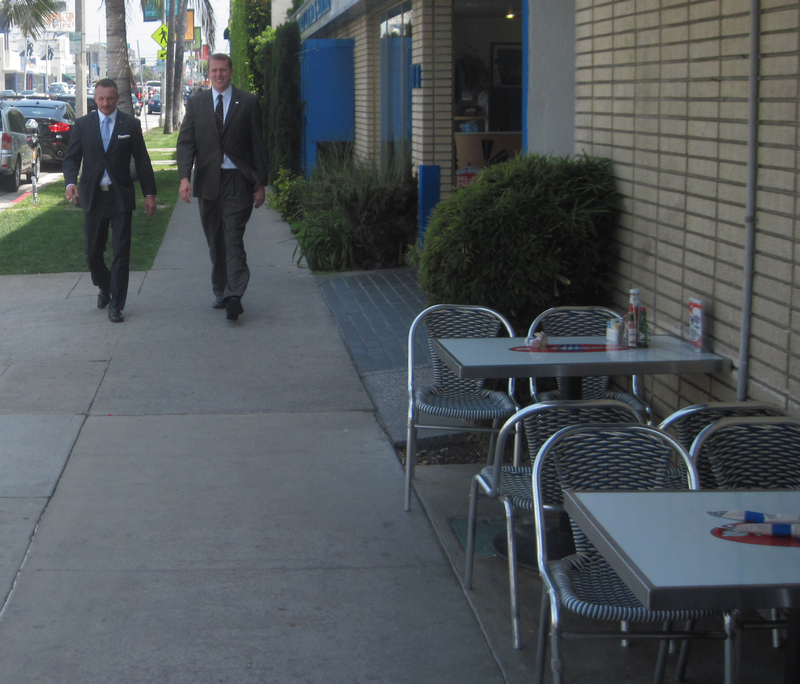 It was filed under Street, Urban and was tagged with businessmen, Los Angeles, Russell Smith, sidewalk. I don’t think so. One is smoking and their suits are too flashy. A couple of Lawyers in Love, maybe? Perhaps. It is West Hollywood.